How would you feel when you have a custom made dress stitched for you? The satisfaction of wearing something which is made just for you has no bounds. Now imagine a diet that is customised just for your blood type. Pleasing , is’nt it ? Here is a diet plan specially designed for your blood type , The Blood Type Diet for Blood Type O, A, B and AB with Indian menu. Read on . 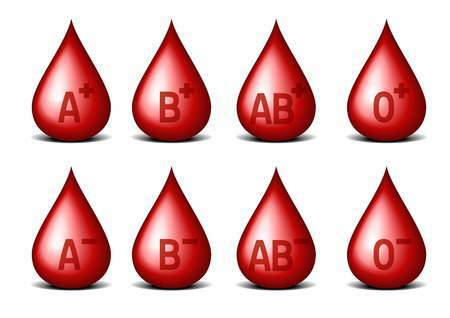 Blood types are categorised by antigens that are produced by the immune defence on the surface of red blood cells. For example if you have the A antigen, you have type A blood. same goes for blood groups B, AB and O . Why you should follow a blood type diet? According to Dr. Peter DÁdamo, there is a chemical reaction that occurs between your blood and the foods you eat. And this reaction is caused by certain proteins found in foods that have agglutinating properties, which affects the blood. Thus, a diet that avoids such agglutination and is harmonious with the blood type is referred to as the blood type diet. In 1996, a naturopathy physician Dr. P.J. D’Adamo, introduced idea of blood type diet. And he penned down the book “Eat Right for Your Type,” for the same. According to Adamo, his research was based on ancestral tribes and communities. Different blood types have developed during periods in history when people had access to only certain foods. This contributed to changes in the digestive systems and body’s ability to tolerate different foods. The below given table will simplify all the needed information about your blood type and the blood type diet requirements. They are supposed to have a diet low in carbohydrates, high in protein and vegetables. Type O people usually suffer from gastrointestinal irritation. They are supposed to have a diet low in carbohydrates, high in protein and vegetables. Eat full-fat dairy in moderation. Avoid peanuts, corns, legumes, beans and grains most of the time. Type O blood individuals need to do aerobics exercises regularly. Running, jogging or cycling works best for them. People with type A blood have a sensitive immune system. A meat-free diet high on fruits and vegetables, beans and legumes, and whole grains is what they should eat. The best option is to select organic foods. You can include apples, avocados, berries, figs, peaches, pears, plums, artichokes, broccoli, carrots and leafy greens. Opt for vegetable fats from olive oil, coconut oil and other plant fats like nuts and seeds rather than animal sources. Restrict alcohol or caffeine. Take up low impact exercises like yoga, walking or tai chi. Avoid corn, wheat, buckwheat, lentils, tomatoes, peanuts, and sesame seeds and chicken. Eat lots of green vegetables, fruits, eggs, and low-fat dairy. Select leafy greens, bananas, grapes, pineapple, plums, olive oil, flax seed oil, oatmeal, rice and millet. Include dairy if it doesn’t cause any indigestion. Perform exercises like running, jogging or cycling. Type AB blood, have low stomach acid. Thus avoid red meat, caffeine, alcohol and smoked foods. Include tofu, seafood, dairy, and green vegetables. Best options are leafy greens, apricots, cherries, grapefruit, grapes, kiwi, lemons, pineapples and plums. Boosts immunity: Clean eating along with intake of antioxidant rich vegetables and fruits boosts immunity. Exercises with combination of clean eating also improve immune system. Read – Sources of antioxidants. Restriction of certain foods calls for fulfilling its needs via supplements. If you are aware of how your body reacts to certain foods, it is easier for you to follow blood type diet. Although we have no research or evidence to back this blood diet. These effects are due to the appropriate nutrient intake, healthy gut and reducing body’s stress. It is beneficial to some and may not be favourable for others. Know what suits you better and select which diet to follow. Hi I’m mala I’m 44 years old and hypothyroid. 84 kg 5 feet 5. I’m gaining weight on a daily basis. Please tell me what I can eat and do. My age is 50 yrs,weight is 117kg and height is 173 cms. I am having problem in my knees and back. So I can not do anything vigrous exercise. I do my regular work at home and outside. My blood group is o positive. I am vegetarian but can take egg also. Suggest me the diet plan for women having blood group o positive.